Sneak Peak: How Many Hispanics Will Vote During Mid-Term Elections? In November, millions of Americans will head to the polls to vote in U.S. House, U.S. Senate and gubernatorial races. Of those millions, Hispanics will be a key population, as a record 29.2 million Latinos will be eligible to vote. Voter turnout among the Latino community is still below the national average, but our influence continues to expand. Political candidates on both sides of the aisle are taking notice. · An estimated 20.6 percent of Hispanic eligible voters will head to the polls in Texas in November. · Hispanics will cast an estimated 63,941 ballots. · At these estimates, Hispanics would represent 40.7 percent of the total vote in TX 23— more than 30 times greater than the 1.3 percent margin of victory in 2016. · An estimated 29.3 percent of Hispanic eligible voters will head to the polls in Nevada in November. · Hispanics will cast an estimated 113,335 ballots. · At these estimates, Hispanics would represent 15.7 percent of the total vote — more than six times greater than the 2.4 percent margin of victory in 2016. · An estimated 38.4 percent of Hispanic eligible voters will head to the polls in Colorado in November. · Hispanics will cast and estimated 244,511 ballots. · At these estimates, Hispanics would represent 10 percent of the total vote — more than three times greater than the 3.3 percent margin of victory in 2014. Latinos are the nation’s second-largest population group. As our communities grow, so too will our influence on American politics. It would be ill-advised for a candidate to ignore the Hispanic electorate. The data within the report should also signal to our communities that the Hispanic vote matters. Our votes could be the margin of victory. 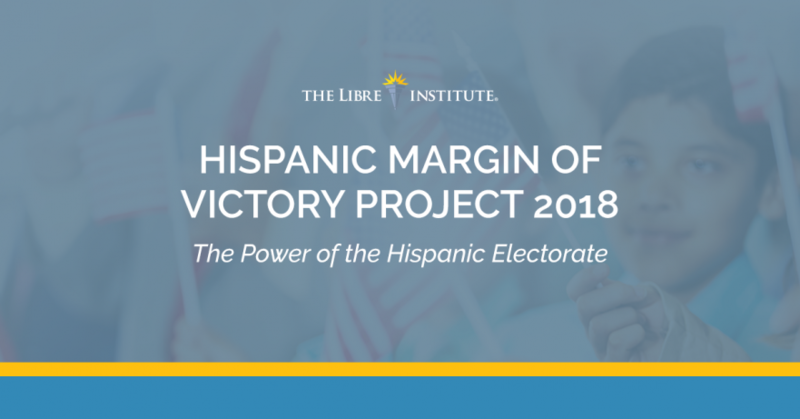 Click here to view the Hispanic Margin of Victory Project 2018 in full. More Opportunities Help Children Succeed!